Looking to work from home but don't know where to start? Confused about various options available? Passionate about something but don't know if it can be converted into a business? Want to know about various work from home opportunities in detail? 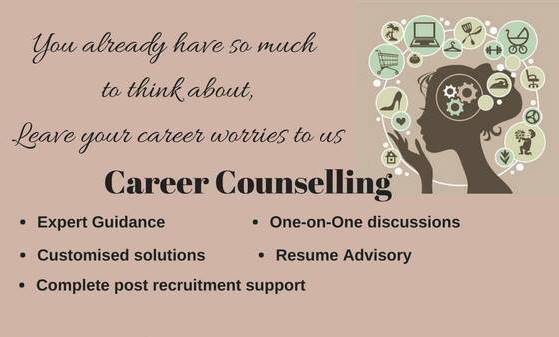 Join QWEEN's Career Counselling Session. How will it benefit you? Take a peek into how successful QWEENs are building their own careers! Once you book a session we will connect with you to arrange a suitable date/time and address of our office. We have online session for people who are not able to travel.